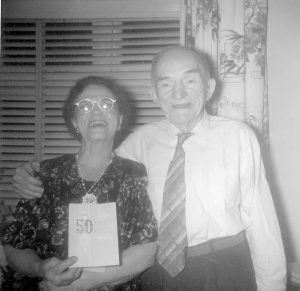 One of the joys of doing family history research is coming across interesting stories and people…..and then one things leads to another, with often quite unexpected results. That’s what happened to me this week. While trying to fill in some gaps in the family tree of my wife’s grandfather (Pop), Andy Fraser from Tullibody in Clackmannanshire, I came across a wonderful photograph of his great uncle, David Penman, that would be my wife’s great great great uncle. David (1854-1946) was miner who lived in the Carronshore area, near Falkirk. The family seem to have had connections with the mining village of Kinnaird. Nothing unusual about that, most of that branch of the family were miners in this area. I found out the usual information about the family from census returns and births, deaths and marriages, but it was the photograph which opened a window on the life of Stirlingshire miners more than 100 years ago. This was not the usual formal studio portrait of the time, but shows David proudly displaying the big bass drum which bears the inscription, Kinnaird and District Brass Band. Clearly there was more to life for David that hewing coal. The village of Kinnaird no longer exists, nor does the band, but there is some information on the internet about the competitions they entered etc. The band seems to have been in existence in the first three decades of the 20th Century and it looks like David would beat the big bass drum. 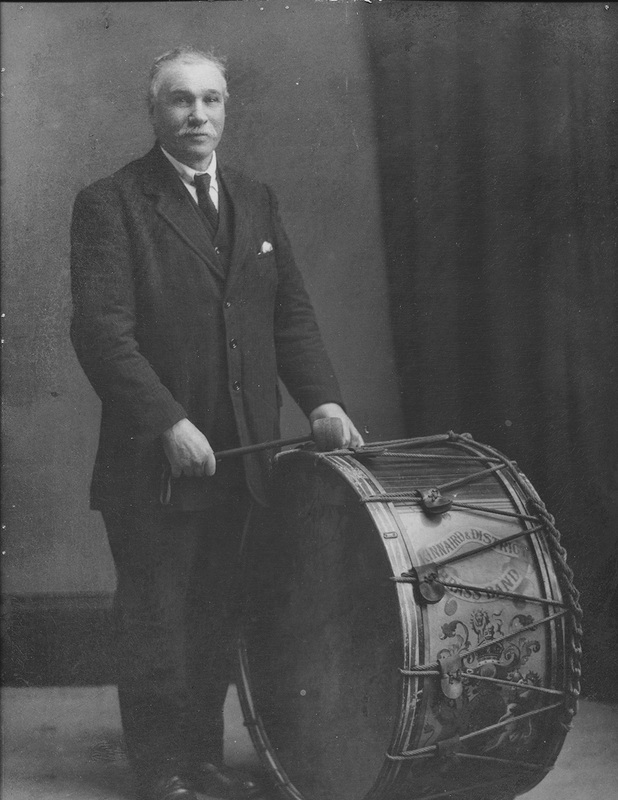 When he retired from the Kinnaird Band in 1925, he was presented with an enlarged portrait (with his drum) and a wallet of notes. Then the trail led to another member of the band, James Turnbull, also a miner, who played the trumpet. 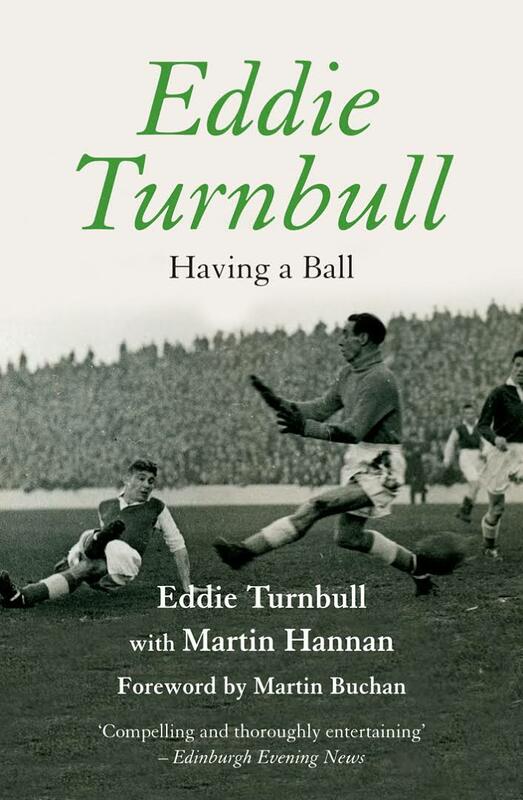 He was the father of a Scottish footballing legend, Eddie Turnbull. 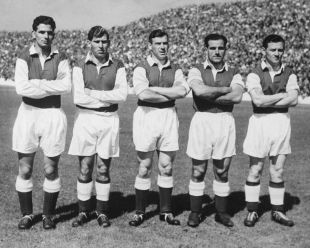 In the 1940s and 50s Eddie played for Hibs (Hibernian Football Club in Edinburgh) He was one of the famous five front line for Hibs, along with Gordon Smith, Bobby Johnstone, Lawrie Reilly, and Willie Ormond, winning three league titles with the team. Eddie also had an international career: 1955 he was the first British player to score in a European club competition, the European Cup against Rot-Weiss of Essen. Hibs were eventually knocked out in the semi finals of that competition by Rheims. He played nine times for Scotland and played in the 1958 FIFA World Cup, in Sweden. The next stage of his footballing career was as a manager, moving to Aberdeen in 1965 after a short time with Queen’s Park. It was Eddie who introduced the iconic all red strip to the Dons, and he led them to a great victory over Celtic in the Scottish Cup final in 1970. 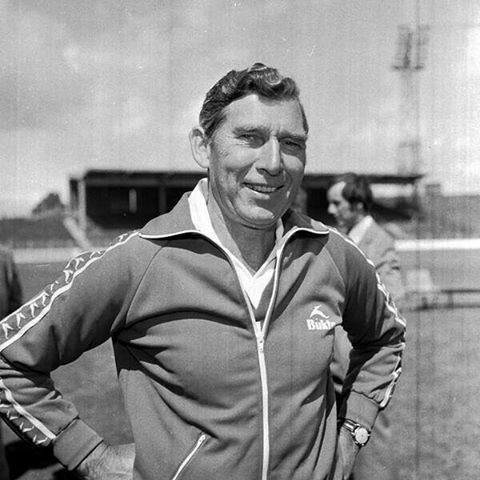 After that he returned to Edinburgh to become manager of Hibernian from 1971-80 where he won the 1972 Scottish League Cup Final against Celtic. He also masterminded their most famous victory, a 7 – 0 win over their Edinburgh rivals, Heart of Midlothian on 1 January 1973. 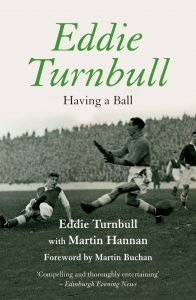 Eddie Turnbull died on 30 April 2011, aged 88. I might have left the story there but for one thing that I noticed. 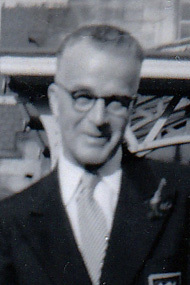 Pop’s grandmother was called Elizabeth Turnbull, born and brought up in Kinnaird village, as was Pop himself. I wondered if there were any connections between Eddie’s family and ours? But try as I like, I could not find a connection between Eddie’s father James and great great great grandmother Elizabeth. I am sure there will be a connection, if I could only but find it. There are more than a few Turnbulls in the Kinnaird, Carronshore area. But I did manage to find a couple of connections, if only somewhat oblique. Eddie’s uncle, James Jenkins emigrated to Canada in the years before the First World War, where he married a girl who hailed from the same village in Stirlingshire as him and who also had moved to Canada: Margaret Penman. Margaret was David (the Drummer) Penman’s daughter. They spent the rest of her life in Alberta, in Canada. So the footballer and the drummer are connected. It may be of interest to my Aberdeen FC supporting children and grandchildren that there is a family connection to one of the great Aberdeen Managers of the past and I am sure we would all like to beat the big bass drum.